Hire waiters for your event to either serve event guests or sit down meals. Hire promo models to promote your business service or product! 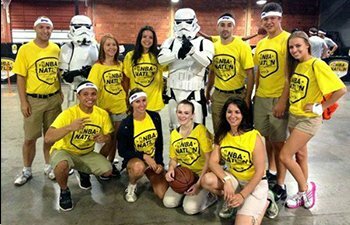 Hire brand ambassadors to effectively promote any product/service from conventions to street teams. Hire gogo dancers to spice up your next event. All dancers are studio trained professionals! Choose one of our turn-key open bar package where we bring everything! 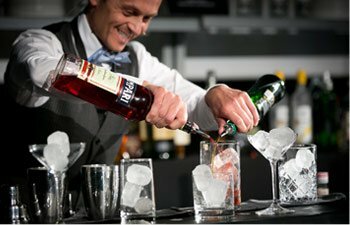 Hot Bartenders services Los Angeles, Orange County, Las Vegas and surrounding areas. We provide event staff for hire from bartenders, waiters, cocktail servers, bar backs, buses, hosts, party goers gogo dancers, promo models, brand ambassadors, DJ’s and even special talent! 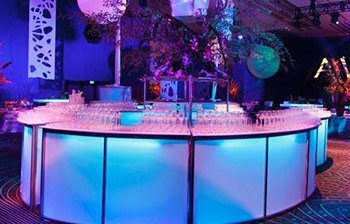 Additional event services also provided are bar rentals, mobile bar services, photo booth rentals, valet service, event insurance and any party rentals for all event sizes. You will be updated once your staff are confirmed and delivery times for rentals if you ordered any. Staff will arrive ready to make your event a grand success! All of our staff undergo a one-on-one vetting process before they are able to join our team. Had a bachelorette party for a good friend, started googling private bar experiences in the LA area and Hot Bartenders came up first. The team there is great - they're responsive and organize! I called these guys last minute.... and they totally delivered. David, their event coordinator asked me all the right questions about the party I was hosting and when we were done, he said "There's nothing to worry about now." And he was right!